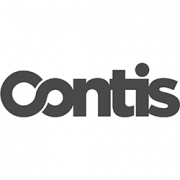 Contis Group, the banking and payments provider, has launched a new fast-track programme in partnership with Visa, to give entrepreneurs and start-ups access to payment cards and banking capabilities in four weeks. This programme would allow UK firms to bring their fintech products to market in the “shortest possible time”. Fast-track is powered by Contis’ banking and processing platform and its API technology stack. The full agency banking solution offers contactless and chip and PIN Visa debit and prepaid cards. Contis says this initiative is designed to drive innovation and disruption by removing the traditional barriers faced by start-ups in banking and payments. The programme will enable businesses to test new concepts in an API-configurable environment supported by Contis’ know your customer (KYC) protocols and customer service.